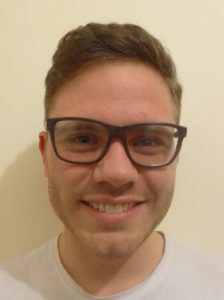 Phil Yeeles is a Junior Researcher at LKMco. He has been working and volunteering in education since 2007. He read Computer Science at the University of Cambridge, and undertook a dissertation to explore educational software, developing a novel means of visualising calculation for young children. Following that, he became a teaching assistant, then studied for his PGCE at the Institute of Education, after which he was a primary school teacher for five years. He is currently the President of the National Education Union (NUT Section) in Cambridgeshire, and has been an active trade unionist for his entire career. He has taken part in the STEP4SEAs project, implementing Dialogic Literary Gatherings in his classroom to encourage children to engage critically with classic literature, using it as a springboard from which to explore philosophical issues. He has also recently visited Cuba as part of an NEU delegation to learn about the Cuban education system. Phil is especially interested in social movement unionism, critical pedagogy and computing education.